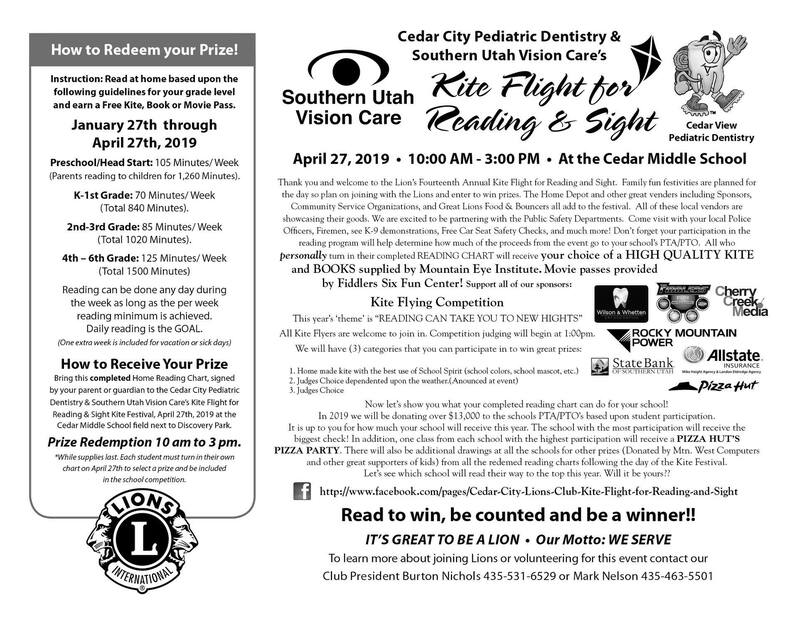 The Lion’s 14th annual Kite Flight for Reading and Sight will be on April 27, 2019 from 10:00 am to 3:00 pm at Cedar Middle School. Family fun festivities are planned for the day so plan on joining with the Lions and enter to win prizes. This year’s theme is “Reading Can Take You To New Heights.” Kite judging will begin at 1:00 pm.